lanka C news | මහනුවර නගරය යටින් උමං මාර්ගය කැබිනට් අනුමතයි.. දලදා මාලිගාව කඩා වැටෙයි, වැවේ වතුර කාන්දු වේ යයි චෝදනා..
ඇතැම් පුද්ගලයින්ගේ ප‍්‍රකාශයන් හේතුවෙන් අඩපණ වී තිබෙන මහනුවර උමං මාර්ගය හැකි ඉක්මනින් ඉදි කිරීමට බලාපොරොත්තුවන බව රාජ්‍ය ව්‍යවසාය,කන්ද උඩරට උරුමය හා මහනුවර සංවර්ධන අමාත්‍ය ලක්ෂ්මන් කිරිඇල්ල මහතා පවසයි. 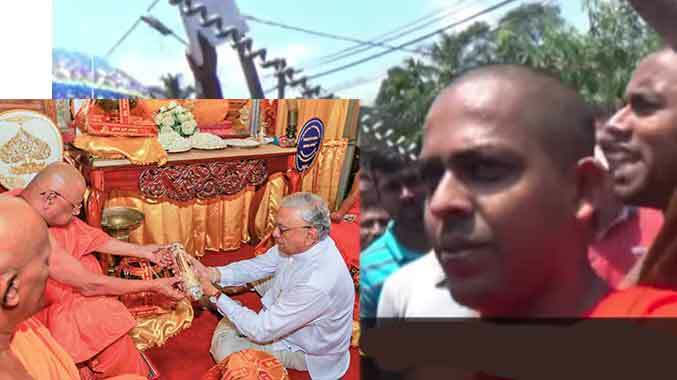 අමාත්‍යවරයා මේ බව පැවසූයේ රාජ්‍ය ව්‍යවසාය,කන්ද උඩරට උරුමය හා මහනුවර සංවර්ධන අමාත්‍යාංශයේ වැය ශීර්ෂය අතරතුර කළ කතාවේදීය. 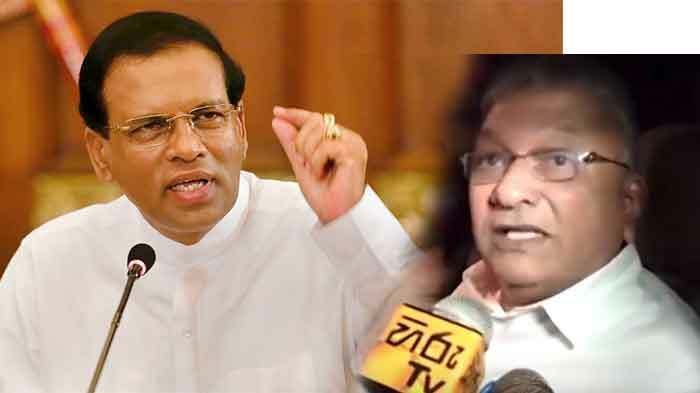 මහනුවර නගරයේ තදබදය අවම කිරීමට ස`දහා තැන්නේකුඹුරේ සිට සුදුහුම්පොළ දක්වා උමං මාර්ගය නිර්මාණය කිරීමට කැබිනට් අනුමැතිය හිමී වී තිබෙනවා. කොරියන් රජයෙන් ඒ ස`දහා ආධාර වෙන් කිරීමටද සූදානමින් සිටිනවා.නමුත් ඇතැම් අය මෙම උමං මාර්ගය ඉදි කළහොත් දළාදා මාළිගාව කඩා වැටෙයි හා මහනුවර වැවේ ජලය කාන්දුවෙයි යන ආකාරයේ පුහු තර්ක ඉදිරිපත් කිරීම හේතුවෙන් මෙහි වැඩකටයුතු නතර වී තිබෙනවා. ලෝකයේ බොහෝ නගරවල පෙළොව යට තවත් නගරයක් පවතිනවා.දකුණු කොරියාව මෙම වැඩ සදහා දක්ෂ රටක්.ඉදිරි කාලයේ මේ හුඹස් බිය නැති වී මෙම බාධාවන් ඉවත් වී හැකි ඉක්මනින් මහනුවර උමං මාර්ගය නිර්මාණය කිරීමට හැකිවේවි යැයි මම සිතනවා. එමෙන්ම මහනුවර උමංමාර්ගය සංවර්ධන කාර්යය සම්බන්ධයෙන් පාර්ලිමේන්තු මන්ත‍්‍රී කෙහෙලිය රඹුක්වැල්ල මහතාද අදහස් දැක්වූ අතර එහිදී ඔහු සිදු කළ ප‍්‍රකාශය පහත දැක්වේ. ඇත්තෙන්ම කළ නොහැකි දේවල් ලෝකයේ කොහේවත් නැහැ.ලෝකයේ කොපමණ උමං මාර්ග ප‍්‍රමාණයක් පවතිනවාද ඔබතුමා සදහන් කළ ආකාරයට කොරියාවේ සෝල් නගරයේ පොළව යට නගරයක් පවතිනවා. මෙවැනි මිත්‍යා කතා වලට වහල් වෙනවා කියන දෙයින් තවත් සිදු වන්නෙ මේ රට තවදුරටත් පසුගාමීත්වයට ලක් වීමක්. 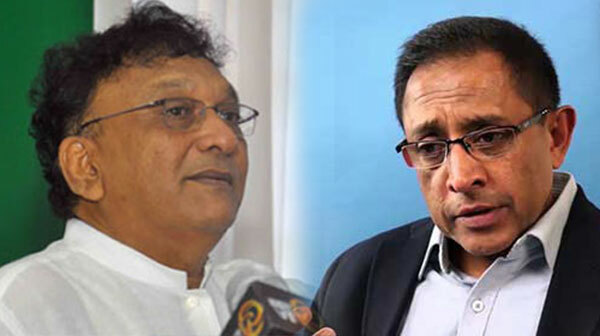 මහයියාව හා අරුප්පොළ ආශ‍්‍රිතව පවතින ගැටලූ විසදීම ඔබතුමා ආරම්භ කළා. ඔබතුමා දැන් ඒ ස්ථානයේ නැහැ. මම ඒ සම්බන්ධයෙන් කණගාටුවට පත්වෙනවා. ඔබතුමා අතින් නුවර ප‍්‍රදේශයේ මහා මාර්ග සංවර්ධන ක‍්‍රියාවලියේ විශාල සංවර්ධන ක‍්‍රියාවලියක් ආරම්භ වී තිබුණා.එහි ඉතිරි වැඩ කොටස සාර්ථකව නිම කිරීමට ඔබතුමන්හට ශක්තිය ලැබිය යුතුයි යැයි අපි ප‍්‍රාර්ථනා කළා. මහනුවර සංවර්ධනය සදහා කවුරුන් හෝ ඉදිරිපත්වෙනවා නම් පූර්ණ සහයෝගය දැක්වීම අප සැමදෙනාගේම වගකීමක්. 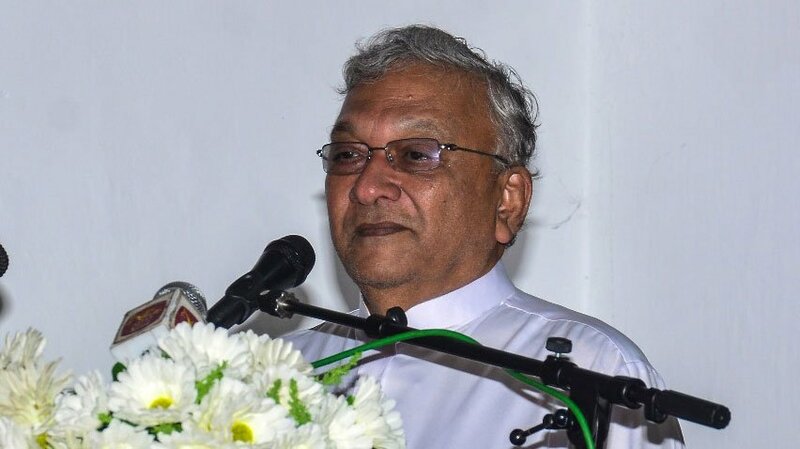 එමෙන්ම ඔබතුමාට වෙන් කර තිබූ මුදල් කප්පාදුවකට ලක් කරලා තිබෙනවා. ඒ වගේම ඔබතුමා පැත්තකට කරලා ඔබතුමා ගෙන ගිය වැඩපිළිවෙලවල් කඩා කප්පල් කිරීමට මේ කරනු ලබන වැඩ පිළිවෙලවල් වලට හේතුව මොකක්ද කියන දෙය සොයා බැලිය යුතු කරුණක් වෙනවා. Cant have a outer circle road like Kottawa,Kadawatha and Kelawalapitiya? kalakanni parajitha, keheliyo anikut minisune boru kelinna epa. umbla balaye inna kale mahanuwara nagaraya mokuth kale netha korapu… dewal wal balu weda kiyannada? mahanuwara lokenma diyunu lassanama nagaraya karanna dangalan kiriellata udaw karapalla. denata inna umbala elawa damana dinaya langayi KALAKANNIYO MERILAWATH YANNE NEHENE. The heading itself shows the intention of the writer.Just the devious anti development pro extremist attitude of archaic mentality.These hypocrites should travel to China and other developed countries to get some exposure.Not write stupid articles like this! go ahead Mr. minister, God is there to safeguard you. මුංව පන පිටින් වලදාන්න ඕනේ මේ රටට කරන හා කරපු අපරාද වලට. මුංට ආශිර්වාද කරන පූජක වසලයන්වත් ඒ වලවල් වලටම ඇද දැමිය යුතුයි. Keheliya getting ready to do a high jump to his old party? මාලිගාව ආසන්නයේ තියන නිධන් ටික ගොඩ දාගන්නය් මේ හදන්නේ. What’s wrong with these people? allow professionals to do the feasibility study and do the job. Always objecting to new developments and see the bad side only. දළදා මාළිගාව කඩා ඒ වගේම මාළිගාවක් ටිකක් ඈතින් හැදුවනන් ඉවරයිනෙ. Lot of construction companies in the world have technology and experiance to handel this type jobs. In Australians build road under Yarra river Melbourne city. But some foolish people try to keep and maintain the massive trafic in Kandy city. I hope Carbon dioxide in Kandy may be arround 500 ppm. Any government should do the project. 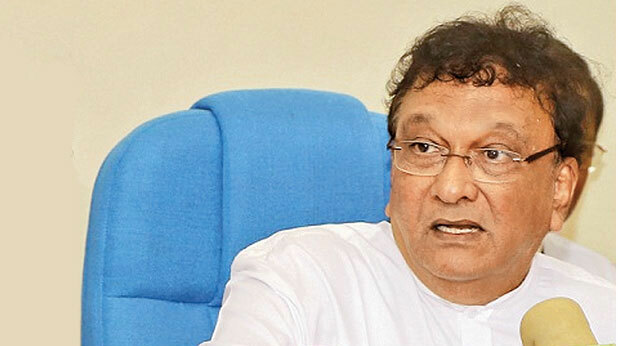 apita mahanuwara lokayenma lassan, siyaluma pahasukam ethi manaram nagarayak kara denna kiriella mahathanani, MAHINDA nuwarata ariyadu kala. 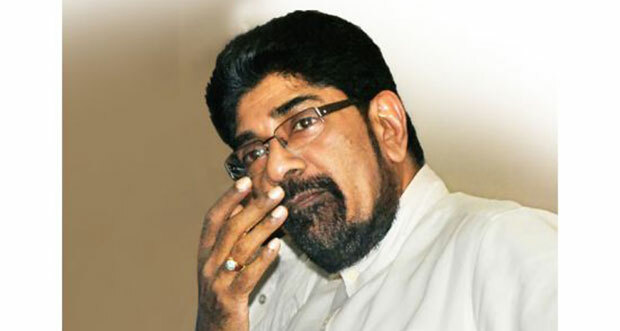 dennam chanda warella..
උමා ඔය ව්යාපෘති වගේ වේවි යැයි බයකුත් තියෙනවා.හැබැයි ඉංග්‍රීසි ඕඩය හරහා උමං මාර්ගය ද තියෙනවා.